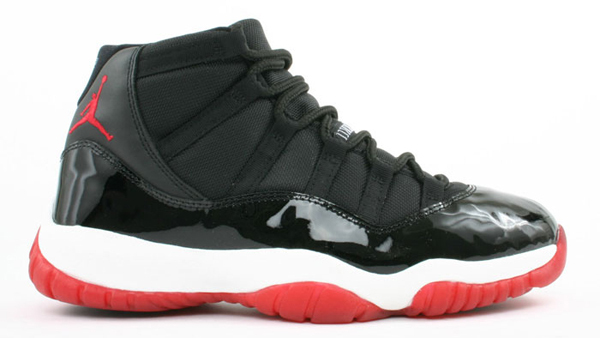 The coveted Air Jordan XI “Playoffs/Breds” are set to release sometime during the holidays this year. Be sure to bring your riot gear to the lines, because these will be even more desirable than the Concords that made headlines last holiday season. 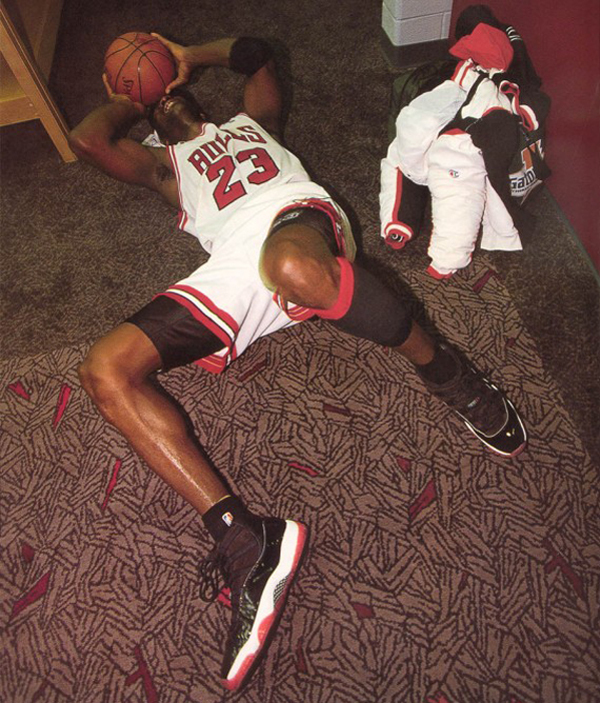 The Air Jordan XI “Breds” can best be remembered for being worn by MJ himself during the 1996 NBA Finals, the fourth championship won by MJ and the first after the death of his father. Hopefully Nike/Jordan Brand will make enough pairs this time around to appease the crowds, but I doubt that’ll happen. That Dr. J lay-in is what’s good. Game releases Oct. 4. Is Scottie speaking out of spite or does he actually believe Lebron has a shot at taking away the “greatest player of all time” claim away from Jordan? It probably wasn’t easy for Pippen, a fantastic player in his own right, to be overshadowed by Jordan throughout every single Bulls’ championship team. On his own, Pippen would have been most team’s best player. But are Pippen’s comments as insane as people make them out to be? I’m not so sure. He made the mistake of saying Lebron is already the greatest to play the game, when in reality he meant that Lebron “may end up as” the greatest. When you look at it from that standpoint, things don’t seem as crazy, do they? As the most unbiased person I know, I get into a lot of arguments with my fellow friends and sports fans. 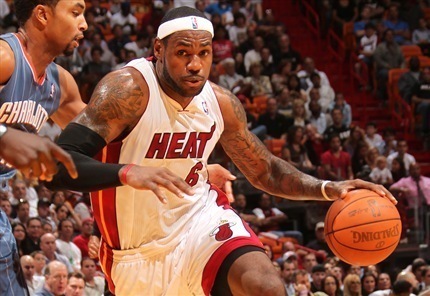 For example, I predicted that the Heat would beat the hometown Bulls in six games. I’m as big of a Bulls fan as anyone, yet I just didn’t think we had enough to get over the hump this year. I look at things from a realist’s standpoint and from that standpoint, the Bulls weren’t looking too good coming into this series and the Heat finally learned how to play together and were playing hotter than ever. Anyways, back to the original topic: Lebron vs. Jordan. 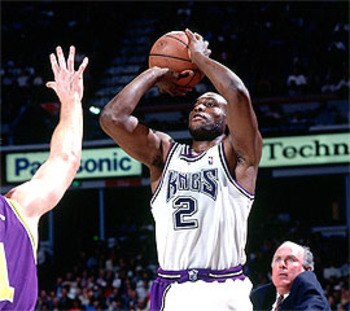 Is Mitch Richmond the most underrated player of the 90s? It’s safe to say that not a lot of people my age really watched basketball in 90s (mostly because they were too young). Heck, I didn’t really even watch it. Ever since a thing called Youtube was created I’ve been browsing clips like no other. Youtube has allowed me to catch footage of some of the greatest players that ever played in any sport, after I truly understood what greatness was. When I think about the 1990s era of the NBA, my thoughts are mostly full of Michael Jordan and the Bulls’ six NBA Championships. That’s probably what everyone that thinks about the 90s thinks, but what about the lesser known players that just didn’t have the Scottie Pippens? This is what this list is all about. With that said, would you rather be underrated or overpaid? Sorry Bryant Reeves, I’ll have to take the former. Here are the 10 most underrated NBA players of the 1990s.